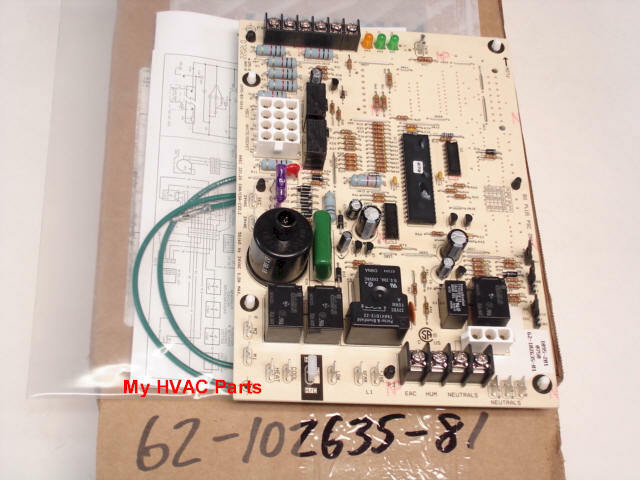 As used in Spark Ignition Models Rheem or Ruud (R,U) GPK 07 EAUER and other 2 stage furnaces. Comes in a special anti static bag. 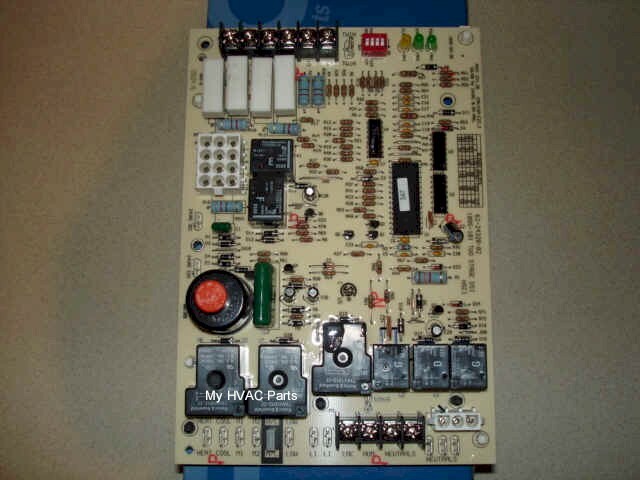 As of 9-10-2008 this control board is now obsolete and is not available from Rheem/Ruud. They have replaced it with (2) "Kits" depending on what Model number you have. Please review the lists below of Model numbers and select the kit you need, then order accordingly lower on this page. These kits may require the services of an H.V.A.C. Company for installation, depending on your qualifications. Check your gas code before ordering. 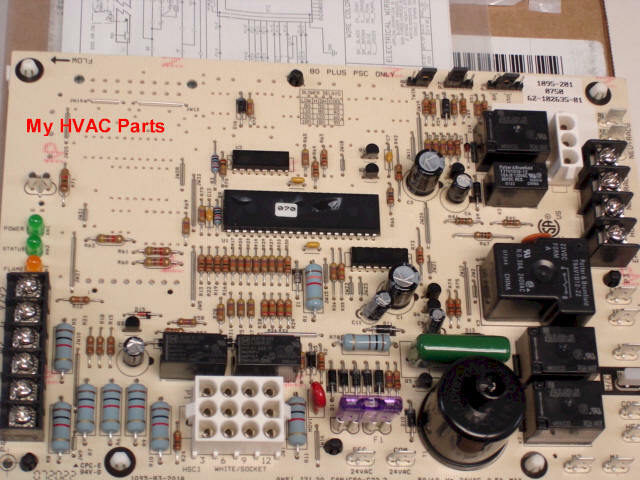 The gas code is the first (2) letters of your serial number on the furnace. 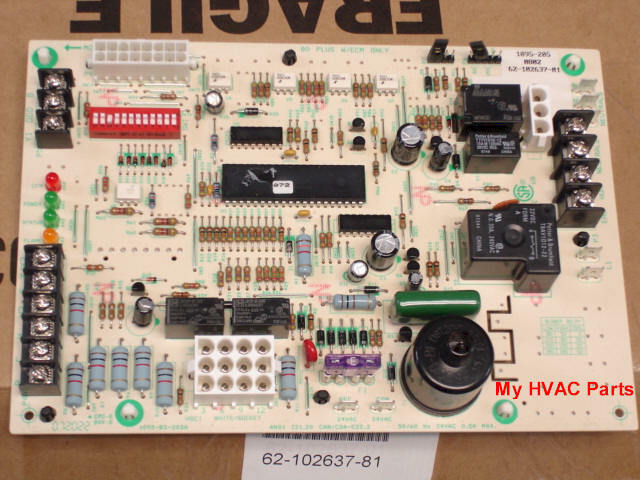 Contains a new control board, a simple wire change, full instructions and wiring diagram. Please read your gas code on your furnace before ordering. The code is the first (2) letters of the serial number. 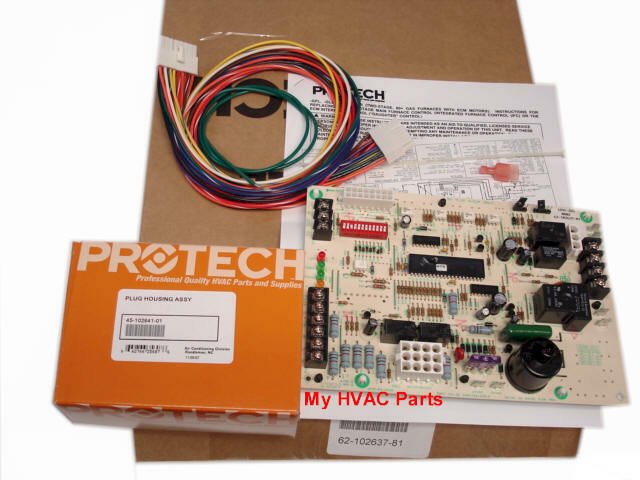 The kit contains a wiring harness if needed for the furnace it is being installed on, as well as other wiring hardware, wire tie, full instructions and a wiring diagram to attach to the equipment which shows the new changes.